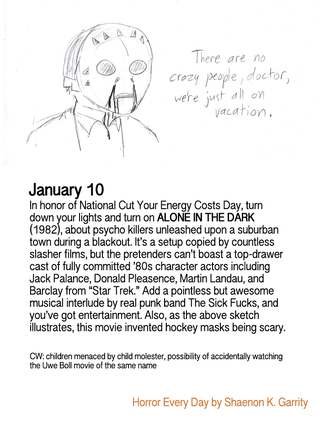 I found a new sketch comic devoted to suggesting a horror movie for each day of the year based on holidays on that date or events from that date’s history. It’s pretty great, and has already suggested some movies I didn’t even know about. Also hells yeah Duel for January 2!